Our approach to SEO is realistic. We keep up with current industry trends, using data for our decision making while ensuring we disclose everything to our clients. Using this mentality, we have grown our business with clients all around Carlsbad and Southern California. We guarantee to give every client the best SEO results they can possibly have. 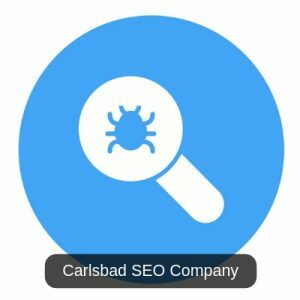 As a Carlsbad SEO Company, we have worked extensively with different companies and industries. We have solutions for both those that want to generate business from the entire market and those who want to emphasize local results. Either way, we are committed to giving you excellent results. Transparency to us is key, from the beginning when we know your expectations as a client to the end when we deliver the client the desired results, we are always transparent. Immediately we get on a project we identify Key Performance Indicators (KPIs) to monitor and evaluate performance against. We appreciate that every company has specific needs and unique objectives hence we tailor our solutions based on the desires and needs of each company. Our customized search engine optimization solutions are thus available for clients in Carlsbad, other markets across the nation and also in some international markets. Emphasis on client needs, helps us serve our clients better by making sure that clients’ needs are properly understood from the first meeting after contact is initiated. Perfection is our goal, just like other businesses, we have refined our processes over our years in SEO and continue to do so to achieve perfection. Search engine optimization in the Carlsbad market is dynamic and keeps changing as time progresses. Search engines such as Bing, Google, and Yahoo are constantly updating their search algorithms. Our team thus has to ensure that our SEO tactics are relevant and will work effectively and efficiently for our clients. We do this by continually creating new search engine optimization tactics, researching, testing and reviewing various SEO tactics. Regardless of the type of SEO campaign that we are doing for our clients, we recognize that they all require effective and optimal processes based on solid planning to get the right SEO results. This is usually our primary focus throughout the process of developing a coherent search engine optimization strategy for your business website. The first phase of knowing the client is usually the most crucial phase in our work. Immediately after we initiate contact with a new client, we are careful that we understand them correctly and get things right from the initial phase. In this stage we narrow down and focus on the client's key performance indicators, that is, KPIs. What does the client want to be accomplished? Many clients generally want to rank in the top results for something. However, our conversations with the client dive deeper into what that might be and how it can be measured. Every client has unique preferences; some prefer online sales whereas others prefer direct communication via telephone. We first figure out these intricacies to ensure that everyone is working in tandem and has the same KPIs in mind during the SEO campaign. Once we have completed work in the first stage, then our team begins work on developing a concrete strategy that is to be communicated to the client. Normally, we take many factors into consideration such as any relevant local SEO, strategies for off-page and on-page SEO, optimization for Google My Business if feasible and how return on investment will be measured, etc. Our communication on the things we need to deliver and our approach to achieving results is usually concise and straightforward. We avoid overloading our clients with unnecessary technical jargon that they might not understand. After laying out the strategy, getting things done follows. First, we have a call with the client to ensure that each party has understood their responsibilities and what is expected of them. Simply put it is a call to ensure that everyone understands how the process works. Most importantly, we emphasize that the client understands the reporting process we employ, and we provide details of the contact person they can reach out to if they need any clarification or have any question related to any aspect of the campaign we are doing for them. From here this is when we get down to serious business to implement the strategy and all the required tasks therein. The talking and planning are essentially done, now our team gets to work on implementing the strategy communicated to the client. This stage is where we begin employing our SEO expertise and tools. We work to implement everything that was outlined and decided upon in the previous phases. Our team begins working on the whole lists of tasks and actions that were enumerated as necessary for success. Confident that we are working from the same script, we get to work to ensure that the client gets the results they expected. The fulfillment of working on a client’s Key Performance Indicators is one of the favorite things about being an SEO agency. As soon as the implementation phase gets going, we also proceed to the reporting and reviewing phase. Our team is continuously reviewing client projects internally to ensure everything is okay. Consequently, we report to our clients based on the agreed timelines about the specific key performance indicators that are a priority to them. The importance of this phase is that it gives assurance that we are doing the right thing as per the requirements and that we are effectively providing the necessary information to the client. Whereas most SEO businesses prefer using automatic and generic reporting that goes out periodically to clients, we use a different approach. We peruse through the data manually and analyze it based on your KPIs sending detailed reports with bullet points and related notes so that you can see, know and understand what is happening all through. Our thorough and unique reporting approach has endeared us to clients and perhaps explains why we enjoy one of the highest retention rates in the industry. It is not a wonder that some clients have stayed with us for more than half a decade due to our detailed and useful reporting approach. In simple words, local SEO is an SEO strategy that focuses on the immediate surrounding markets that are within the local area of your business. For instance, Local SEO will focus on a particular area to ensure optimal exposure to the specific local area such as a metro area The main focus of a Local SEO campaign is to optimize Google My Business for Local SEO, building references and citations for local SEO and a variety of other actions to ensure you get effective results in your local market such as creating and improving SEO focused content and reinforcing on page search engine optimization. The priority is to center attention on the local area and choose the best search terms to provide the most exposure to your business. The above are just some of the actions and steps undertaken to get results with Local SEO and are no a comprehensive list of all that we do to get our local clients the best search results that they can achieve. Many clients we speak with wonder what the difference between Local SEO and Organic SEO is. These are independent strategies that can be used in a comprehensive Local SEO campaign but nevertheless work in tandem. Regional SEO focuses on a wider region instead of focusing on a niche local area. It is not always possible to have local SEO work with regional SEO. Many of the earlier mentioned deliverables come into play while we are working Regional SEO and Local SEO in tandem. In addition, to get the expected outcomes in Regional SEO you must understand the importance of content for SEO. It is crucial that a fair amount of results be generated by either us or the client to get results in this area. A lot of work will have to be done in optimizing content, building authority links to the websites and sending constant multiple indicators to Google to show what your site is all about and the geographical operating area of your business. National SEO is much similar to Regional SEO. We have to decide whether the focus of the campaign will be purely national and focused on organic listings or whether the focus will be on both national and local SEO. If you have a business presence in a wide area, that is, multiple locations in different metro areas in the country then you should consider local and national SEO. However, our focus would shift solely to organic listings, if you have a website for which you want to raise exposure across the nation. All this information may appear confusing and cumbersome if you are not familiar with SEO but a quick call will help provide clarity and guide you on the best choice to make. Our work has seen us take up projects internationally. We have worked on SEO in England for various clients. There is no difference in application, most of the concepts described above can be used in other countries you are looking to gain a foothold in. International SEO will be customized to suit your specific desires and needs. Most of the time, we work on International SEO in English speaking countries but we have also developed and delivered on campaigns in other languages where we optimized content generated by our clients. Through time, experience and education we have sharpened our processes and expertise in SEO and assembled a highly competent team that allows us to serve our clients in Carlsbad, CA. Every client has a unique desire and goal and we are proud that we tailor a Carlsbad SEO campaign that is specific and steer them in the right direction so as to achieve their online marketing objectives. In Carlsbad, we have worked with diverse clients in various industries and of different sizes. We would highly appreciate an opportunity to talk to you about any SEO need you might have!